This course is lead by Mike Leber, an experienced manager, Agile coach, licensed Management 3.0 facilitator and Accredited Kanban trainer via LeanKanban University. 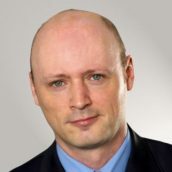 With his own company network Agile Experts e.U. Mike partners with specialized consultancies in various countries to provide most effective ways for growing and leading more Agile organizations. Mike's clients are large international groups, but also smaller teams or innovative startups. Management 3.0 is an official 2 days course, licensed by Jurgen Appelo and based upon his ground-breaking book „Management 3.0 – Leading Agile Developers, Developing Agile Leaders“. This course is a highly interactive and probably the most innovative curriculum on how to create and run an Agile organization from a leadership and change-maker perspective, whether IT-related or any other industry. Learn various modern options for the role of Agile management, the concept of Agile leadership, the growth of Agile organizations and how to successfully influence change for seeding a culture of trust and innovation. This 2 day course addresses managers, leaders and change agents. It provides various perspectives on how modern Agile organizations can work, what the effective contribution of managers in Agile environments can be and how to establish leadership on all levels. It provides many exercises and games helping to drive sustainable change in a social complex systems, not only on a single project level, but specifically on a day to day basis within the whole organization. The training covers 8 modules, based upon the foundation and different views of the new Management 3.0 model. In addition to the standard Management 3.0 curriculum this course covers brand-new Management 3.0 workouts, lots of additional exercises, tools and games. Plus it includes „Change Studio“, an innovative Lean Change approach about how to design, initiate and run change in an organization. All sections of the course are aligned with practical exercises and tools and are followed by a debrief with the participants. With the strong focus on practical exercises and applicable tools participants are encouraged to take action in their own environment right after the course.